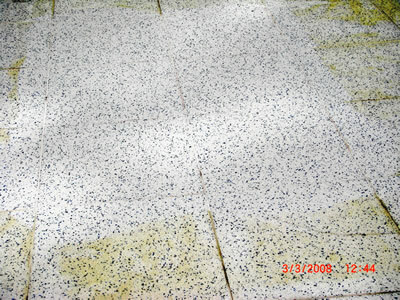 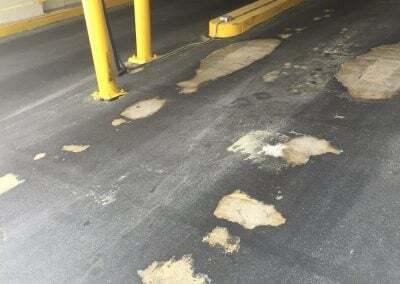 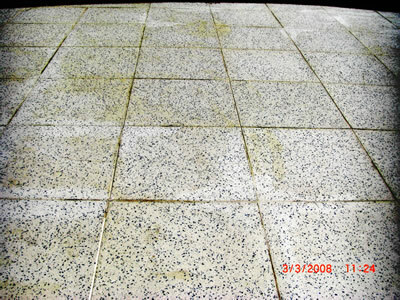 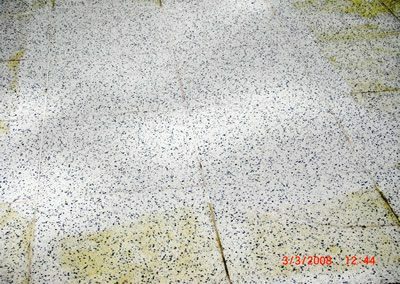 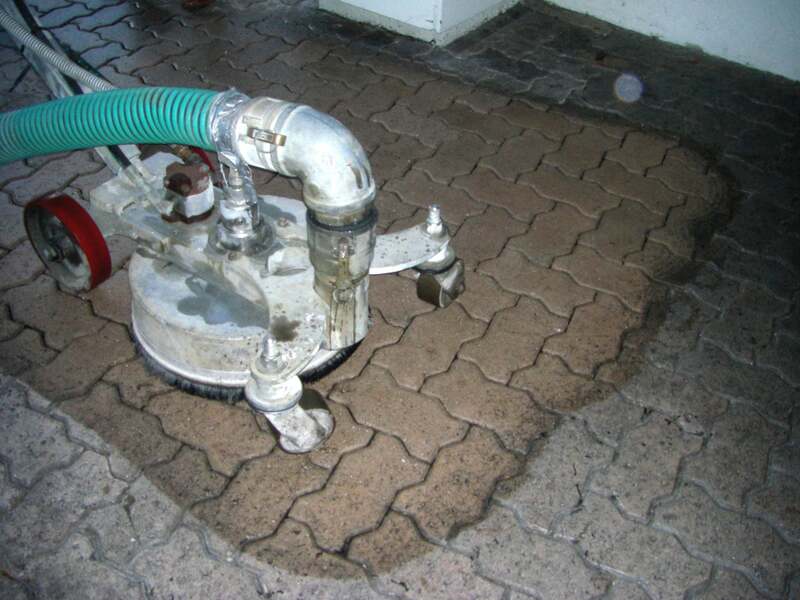 Grinding and Stripping Services - National Sealing Co.
National Sealing offers stripping services. 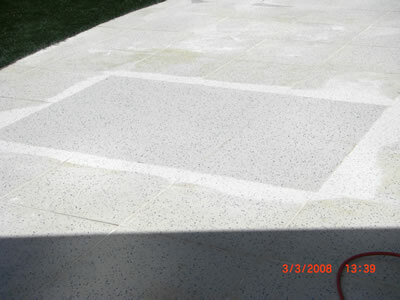 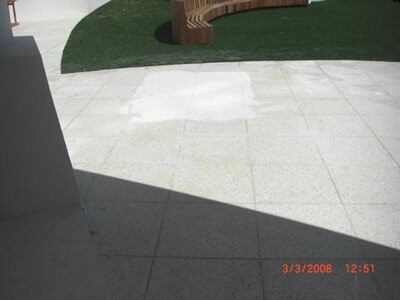 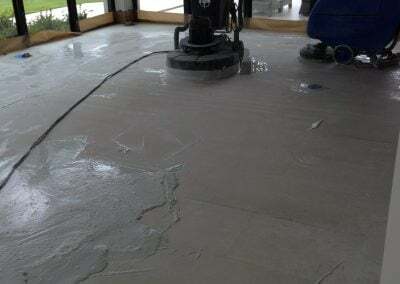 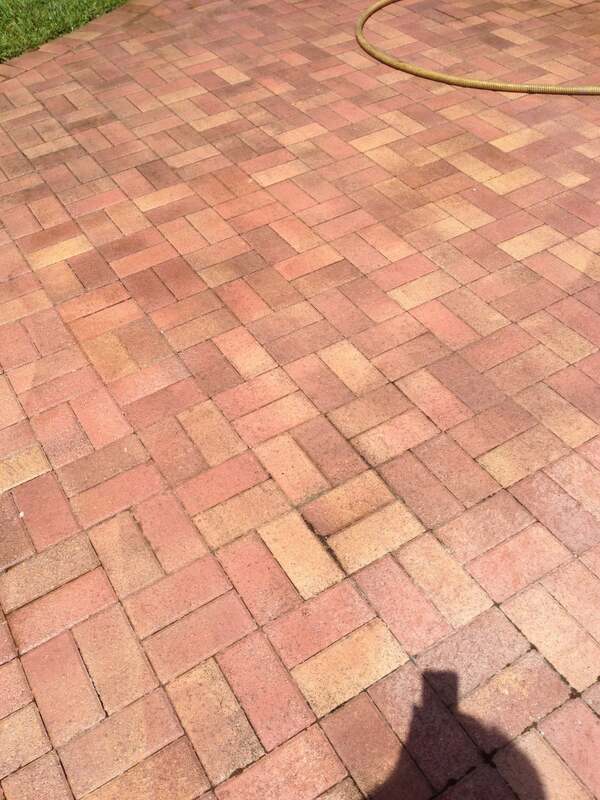 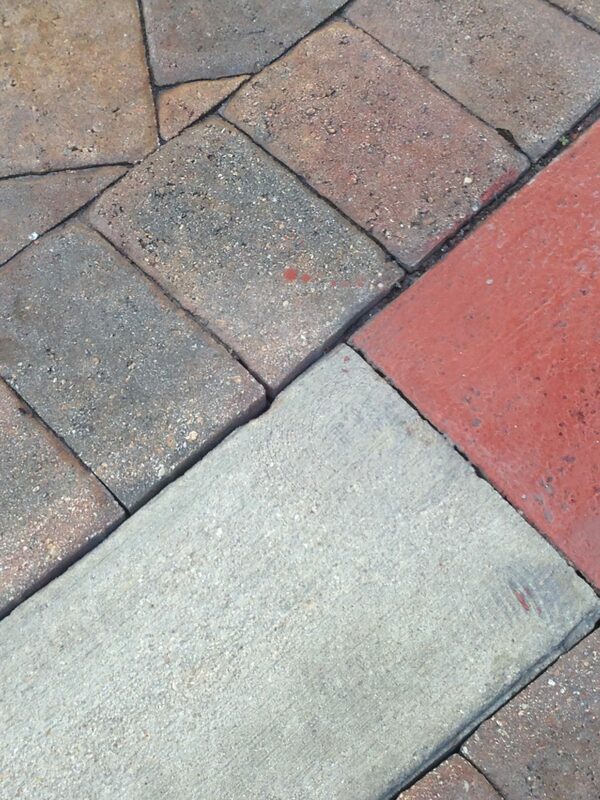 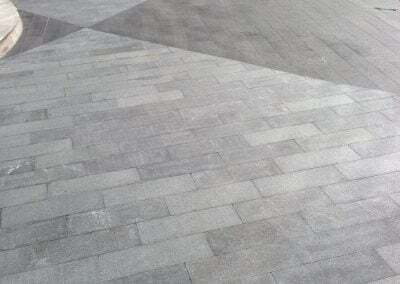 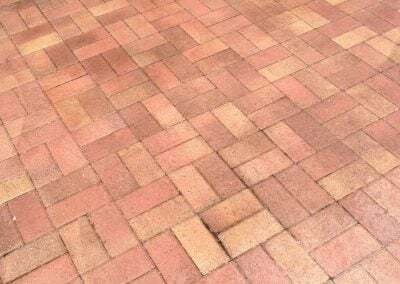 Removal of sealer from brick pavers is the most common. 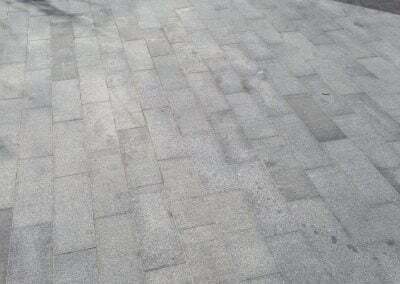 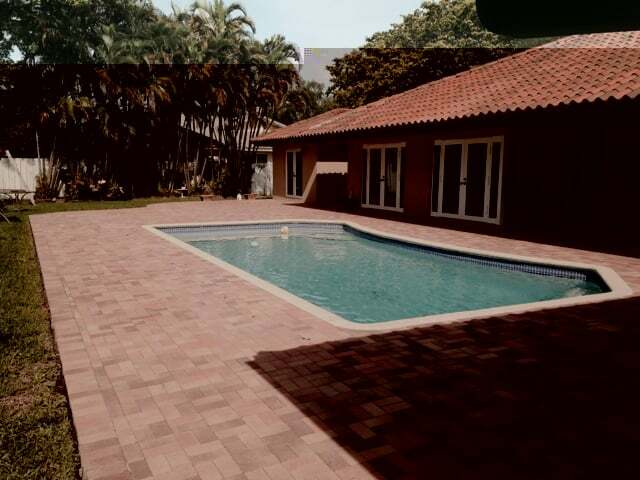 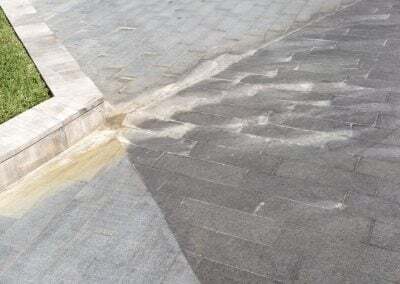 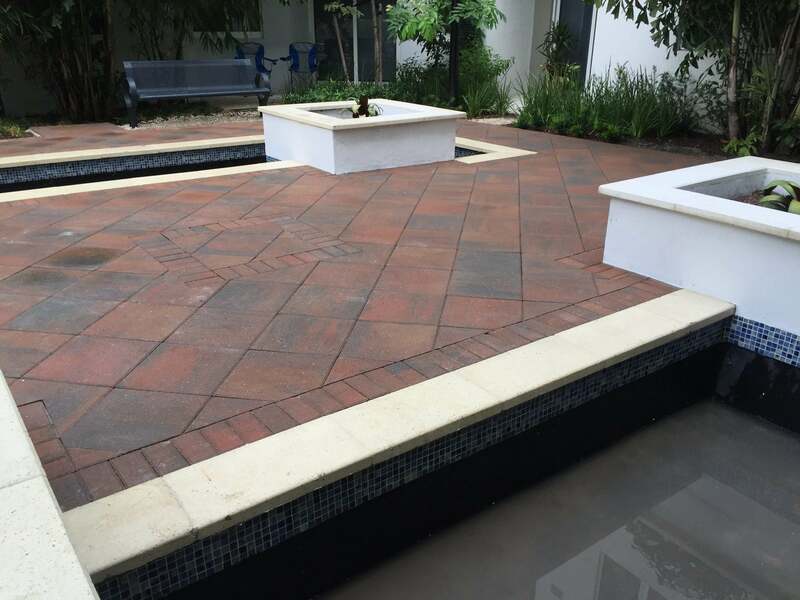 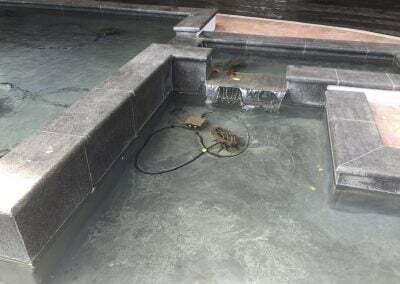 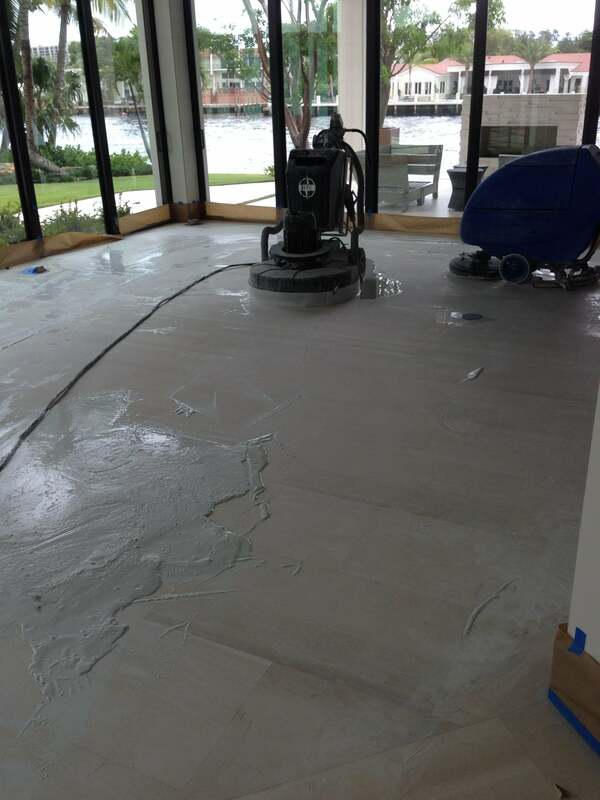 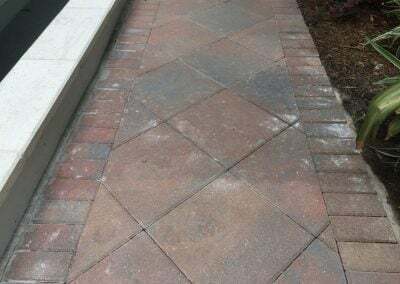 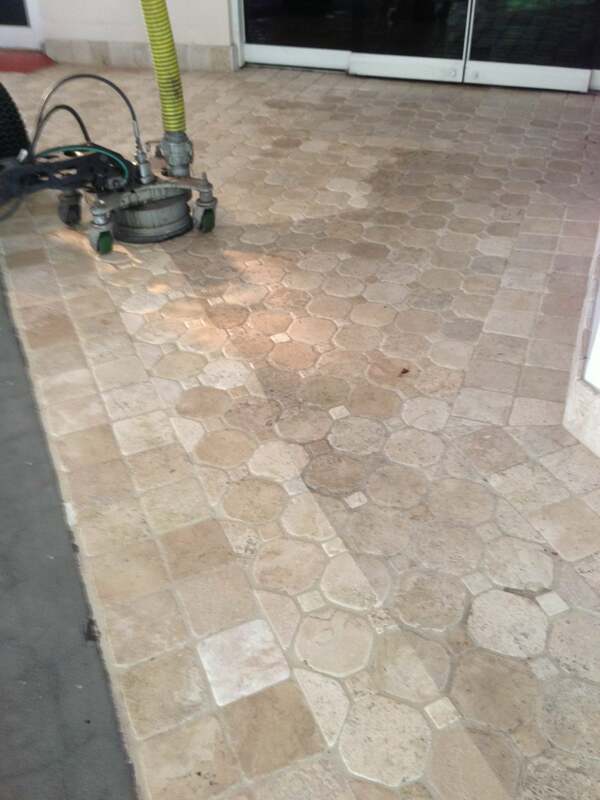 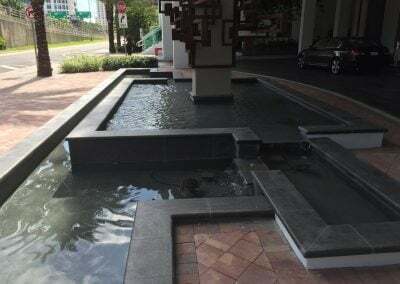 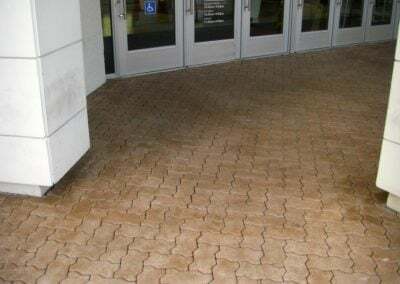 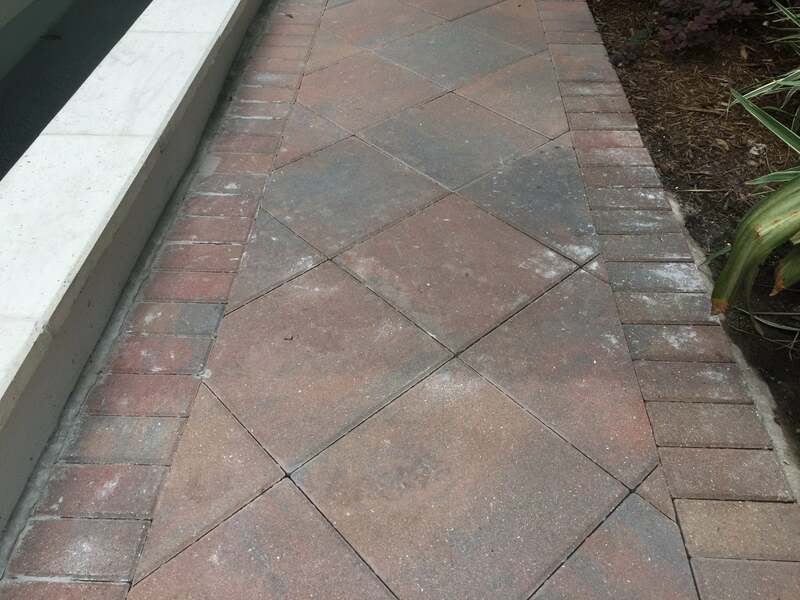 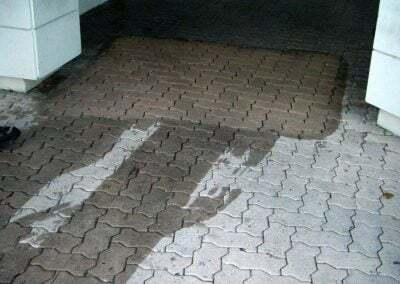 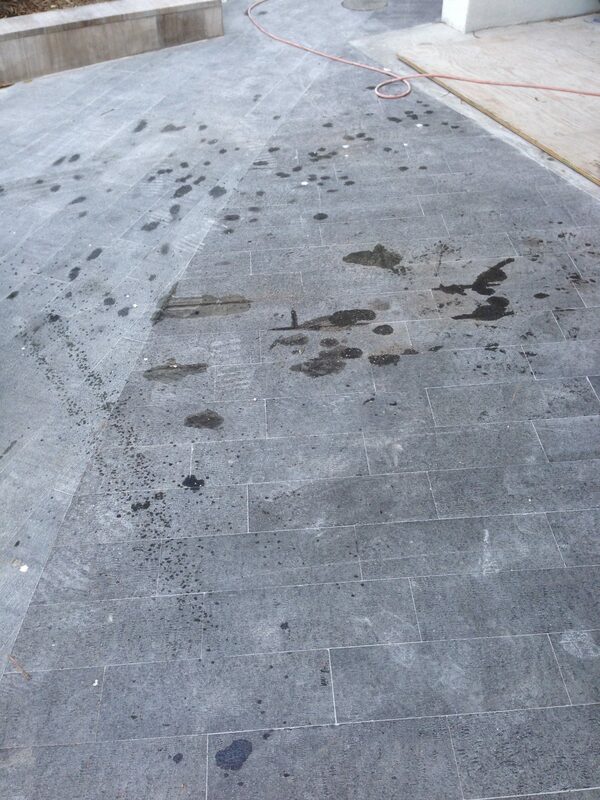 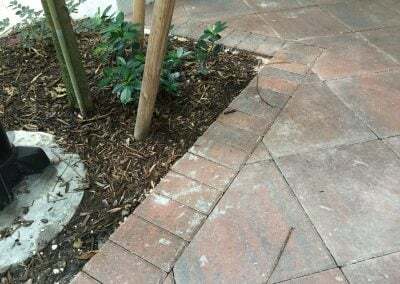 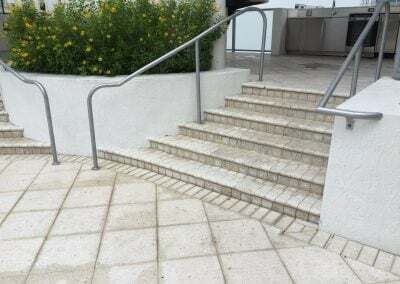 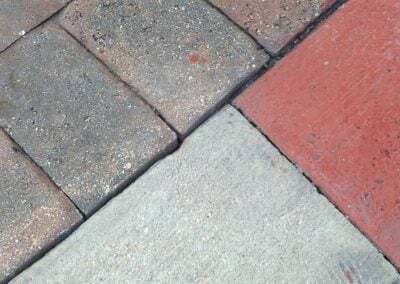 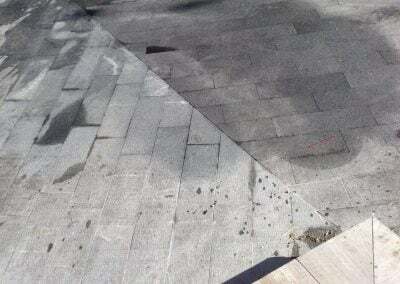 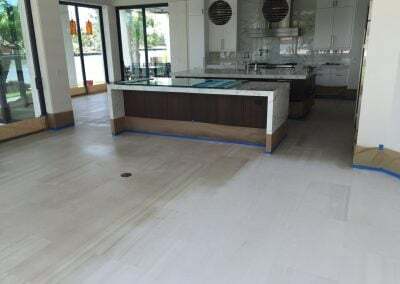 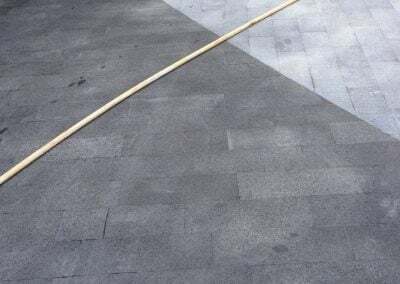 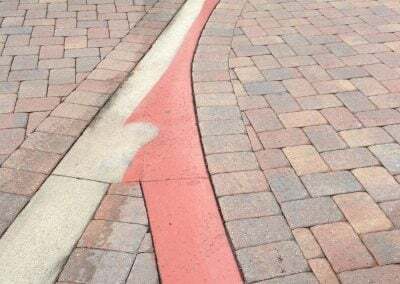 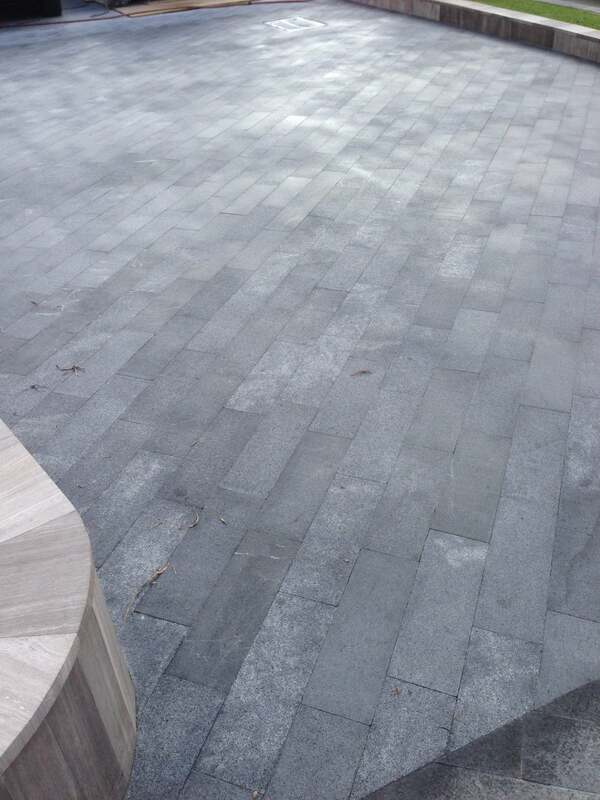 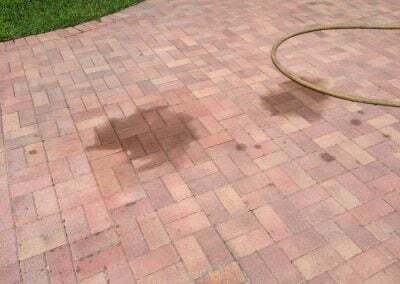 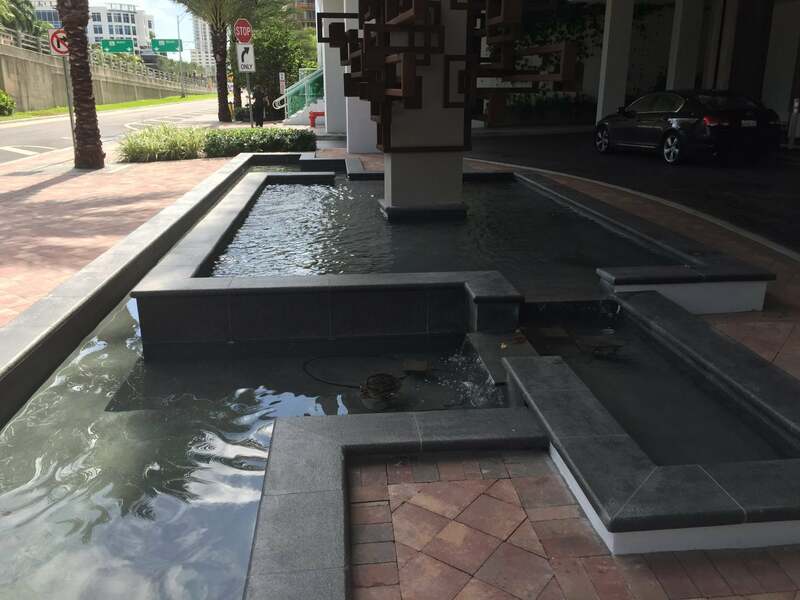 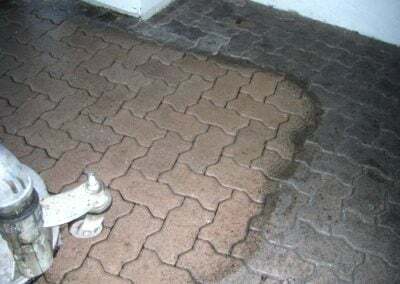 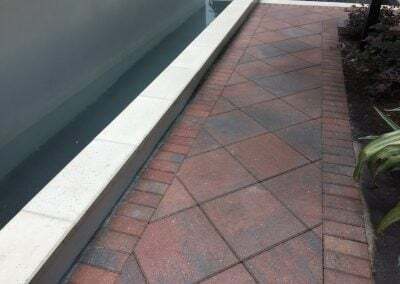 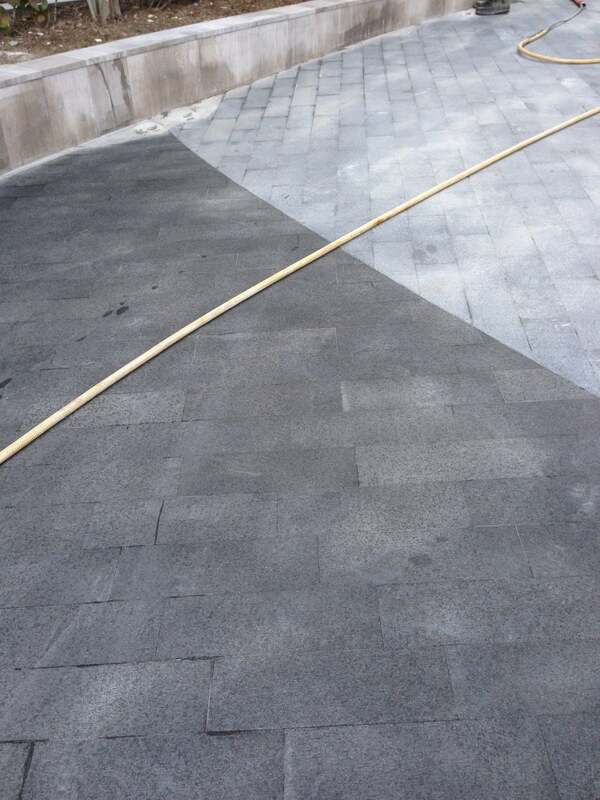 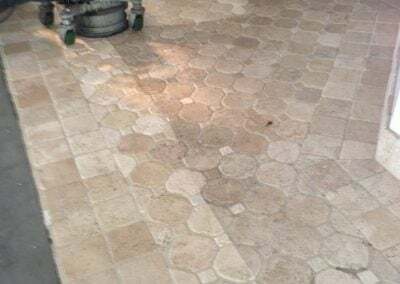 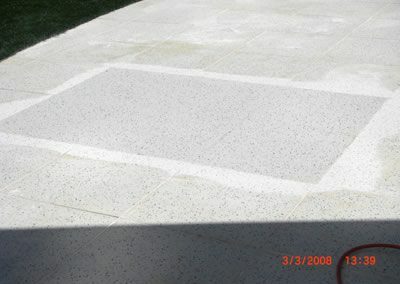 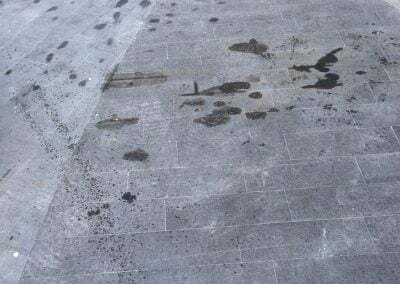 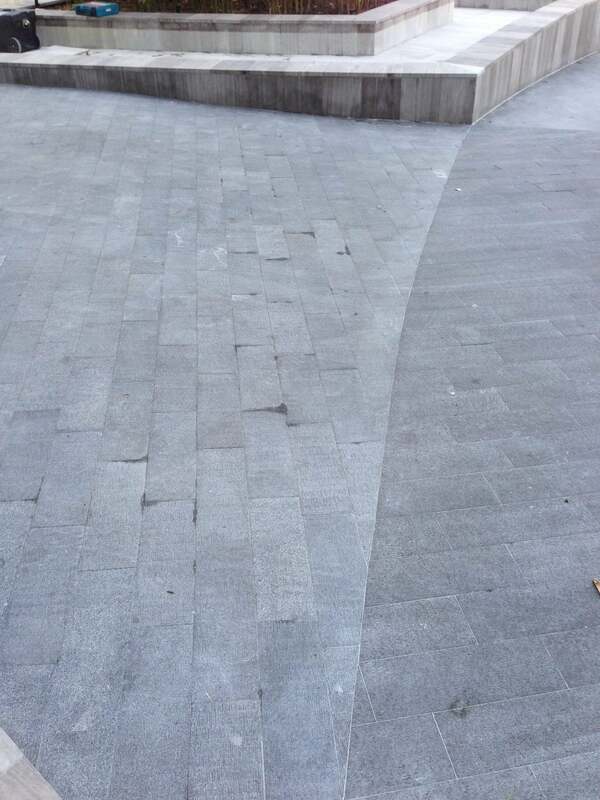 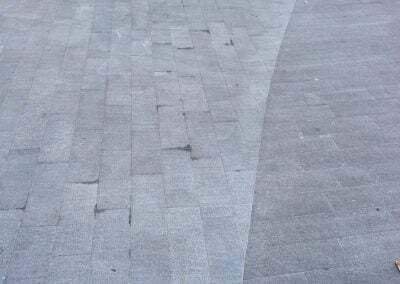 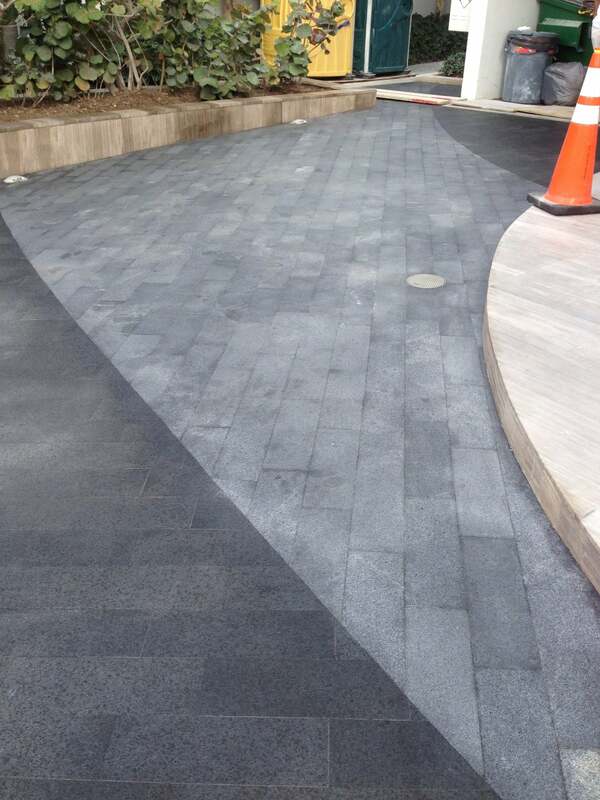 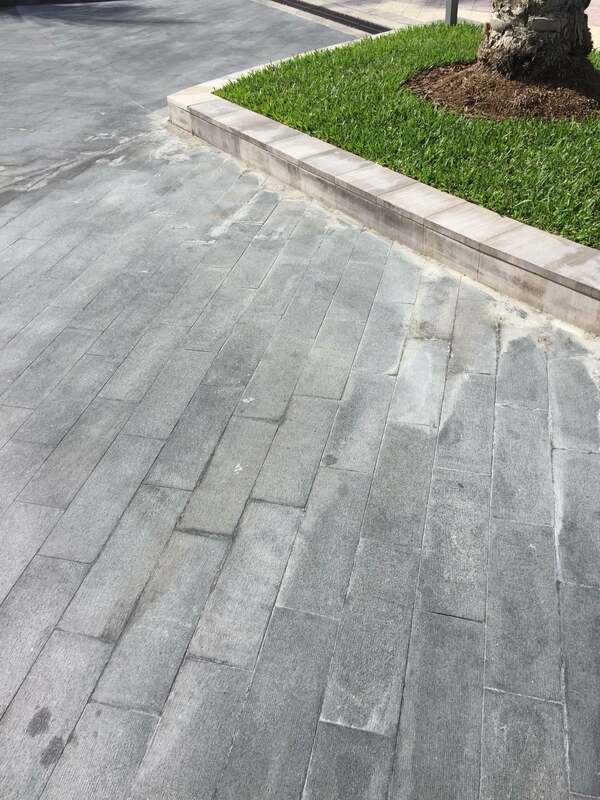 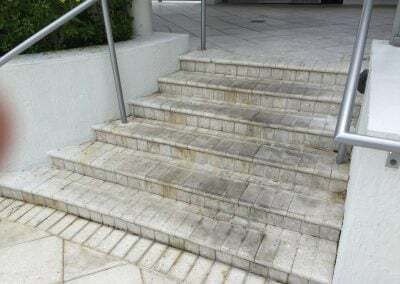 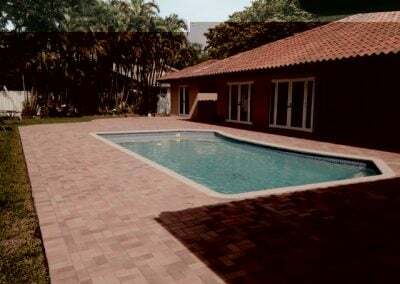 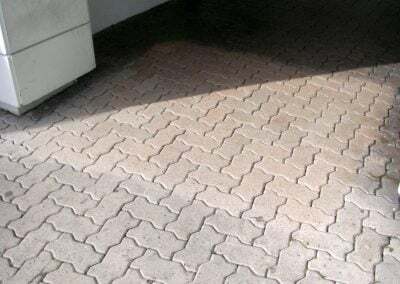 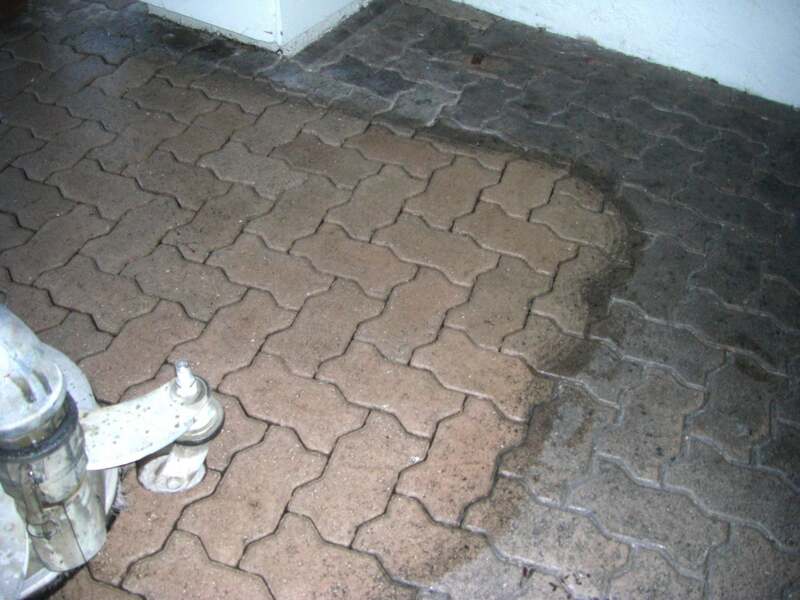 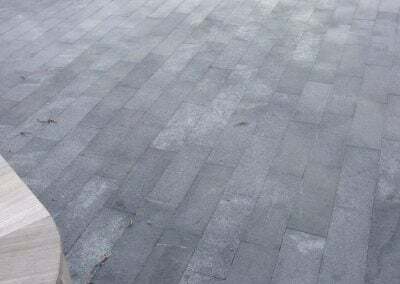 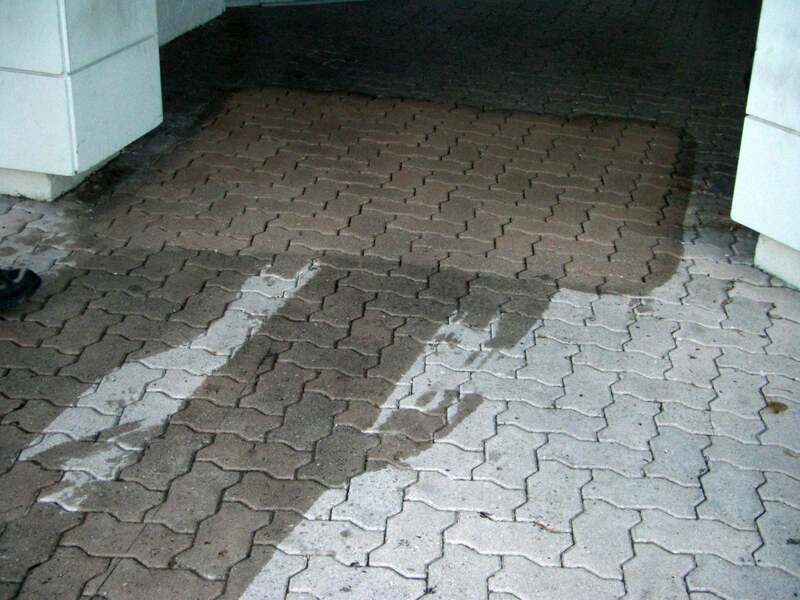 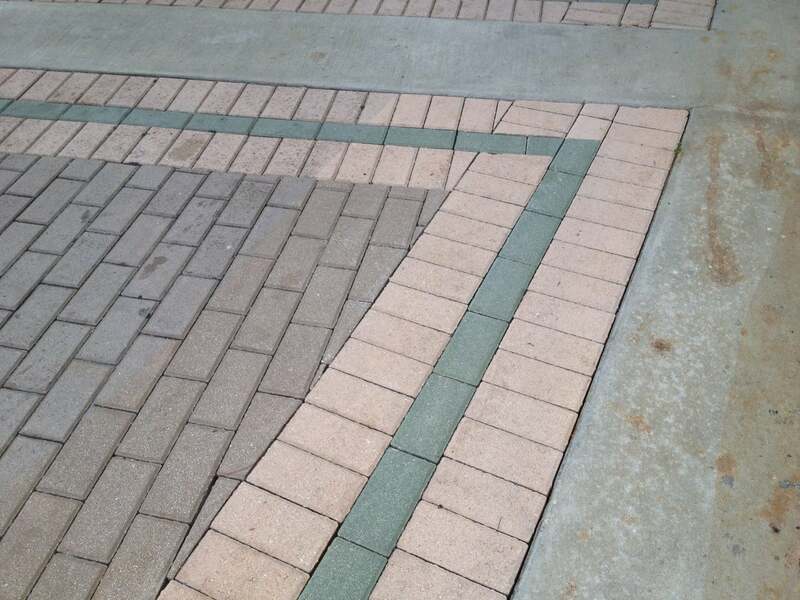 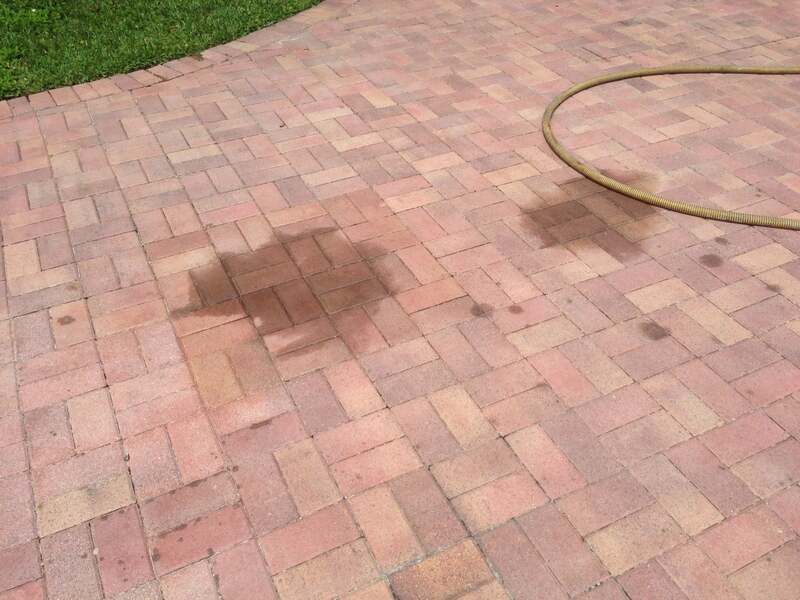 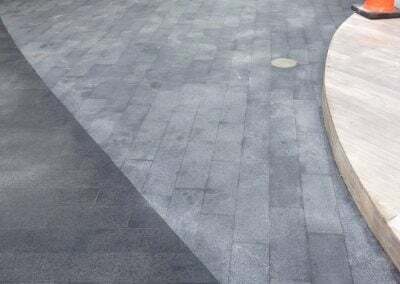 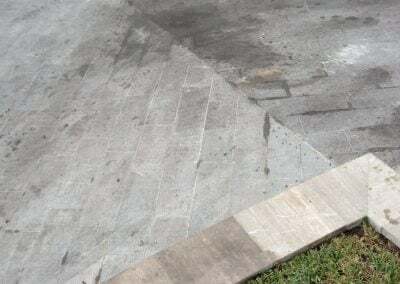 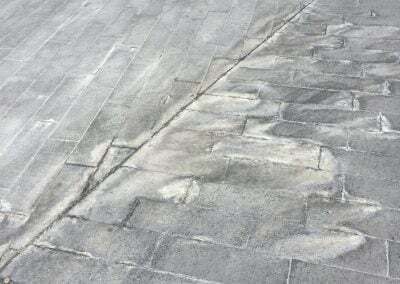 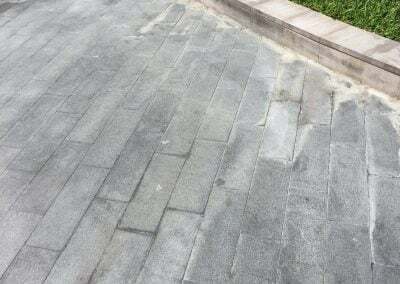 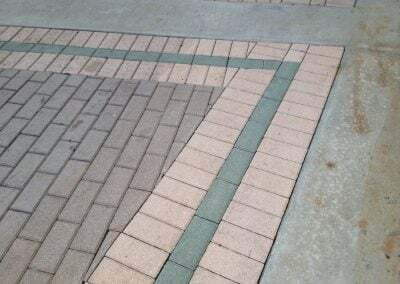 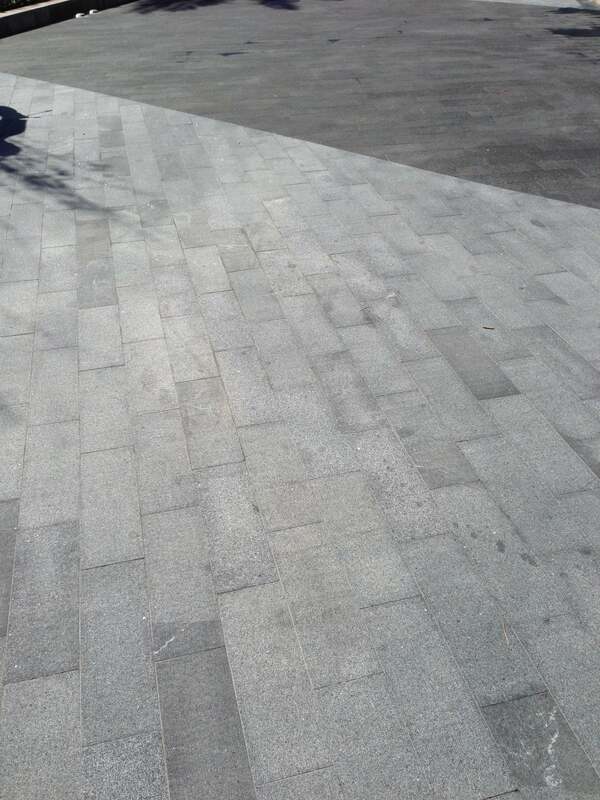 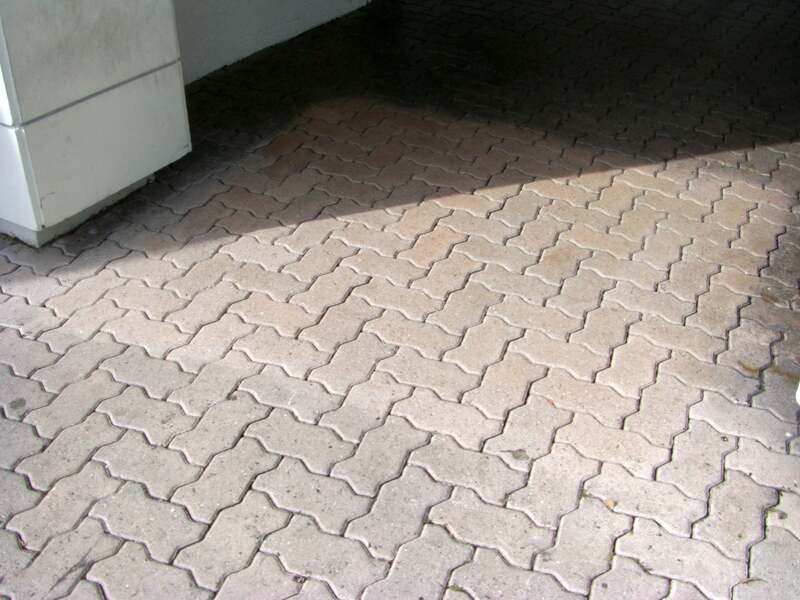 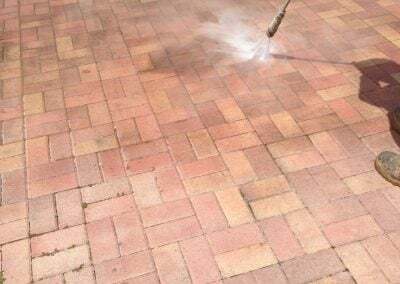 As many are finding out, mistakes can be made sealing various surfaces from sealing of brick pavers, sealing of limestone, sealing of stamped concrete and various other surfaces. 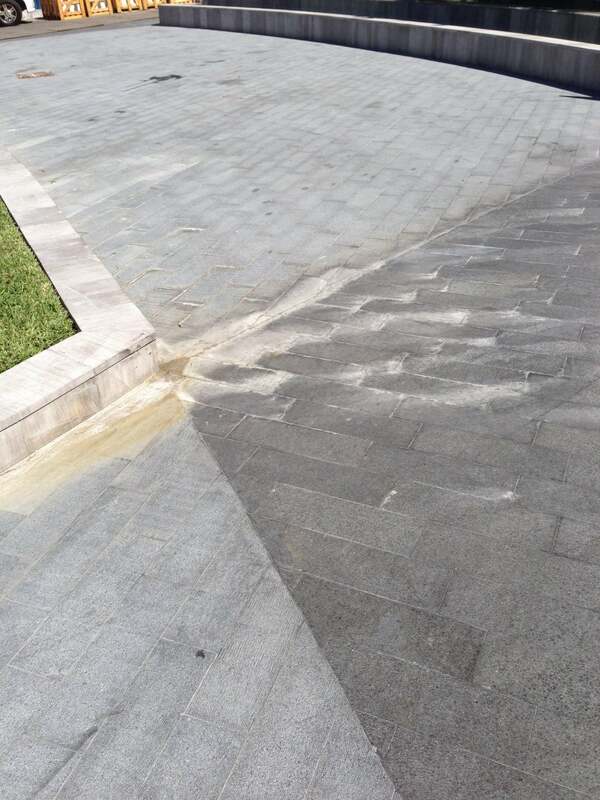 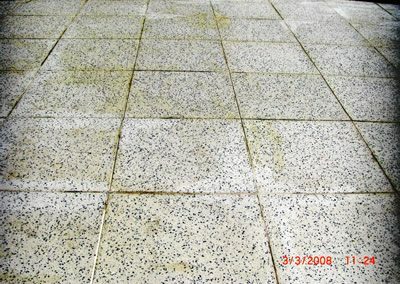 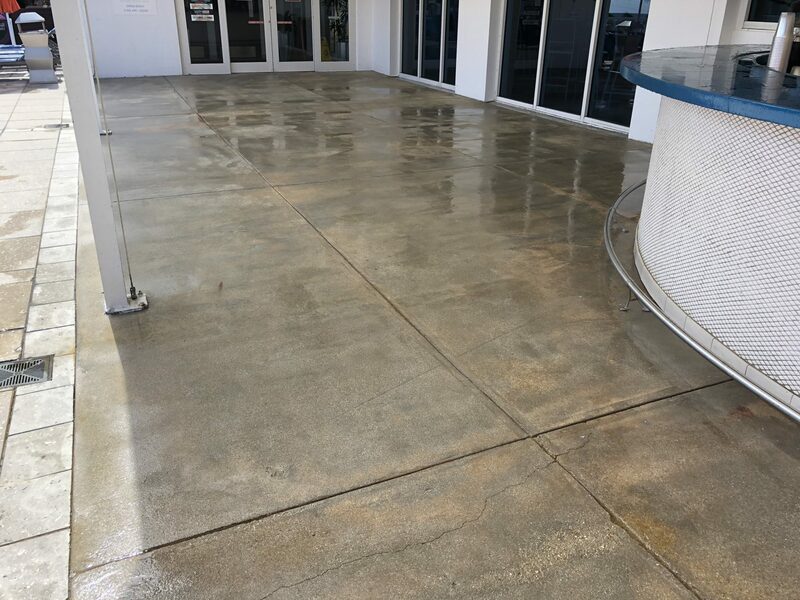 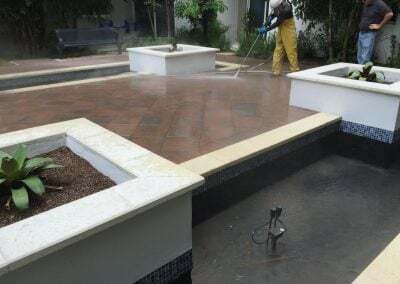 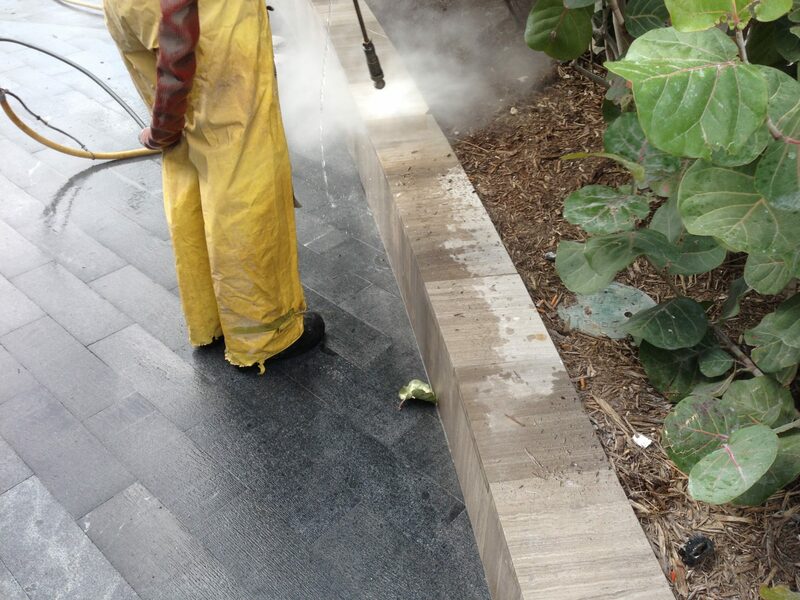 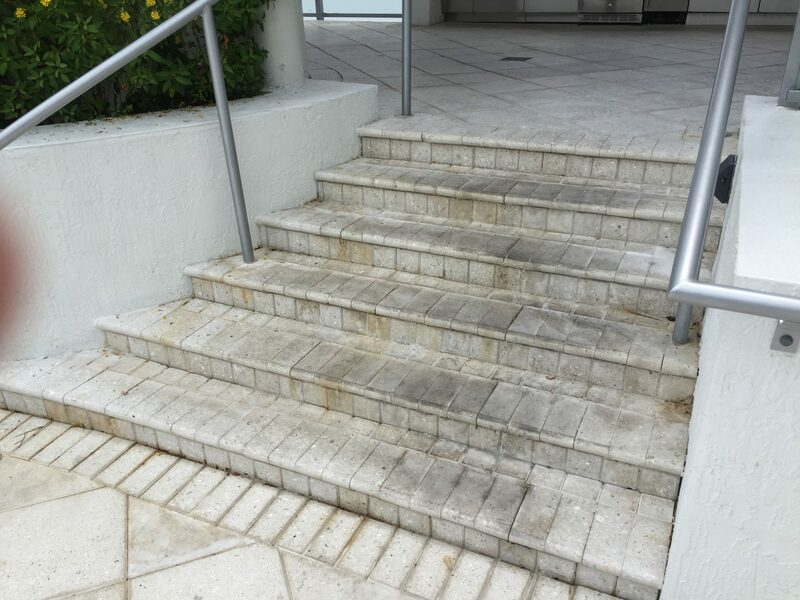 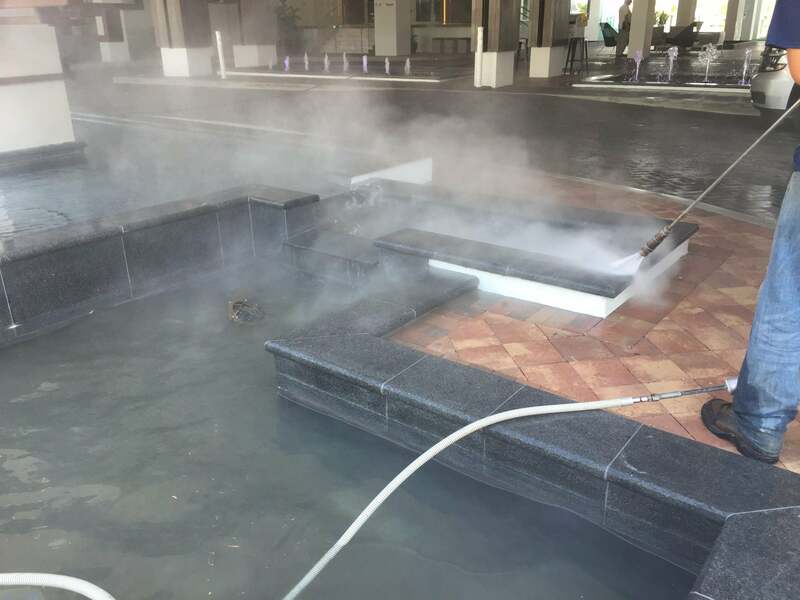 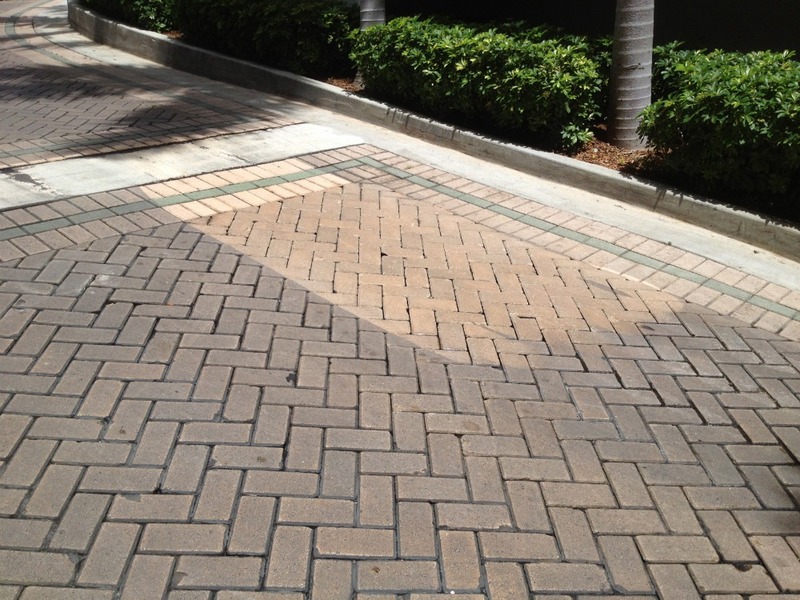 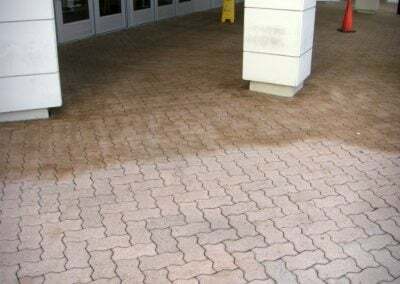 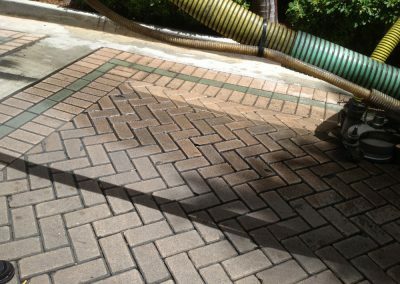 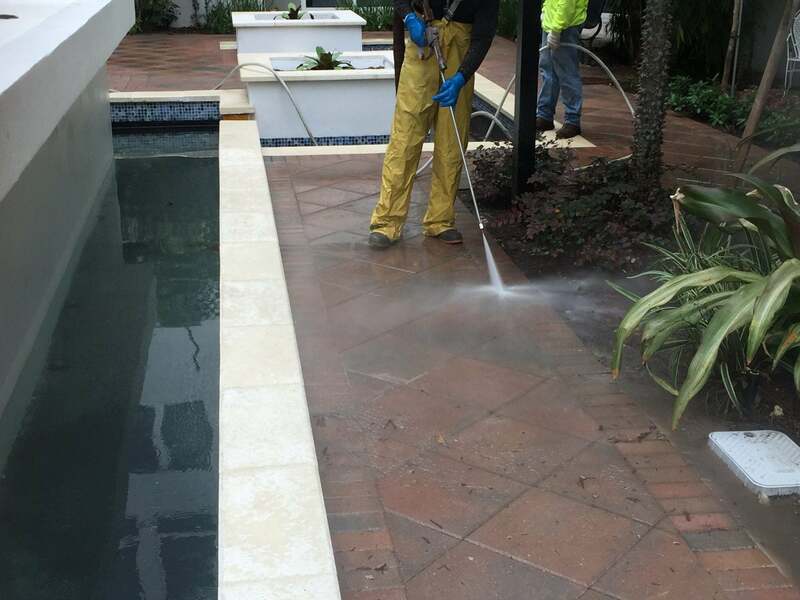 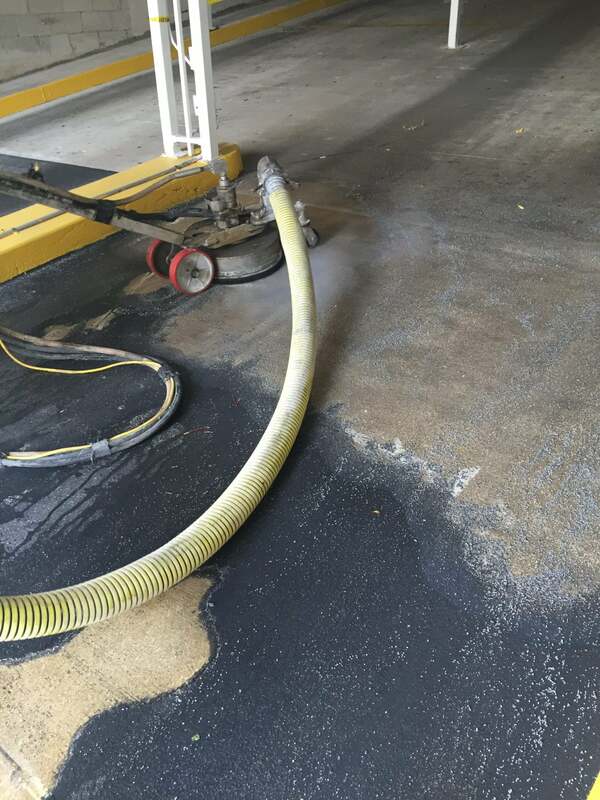 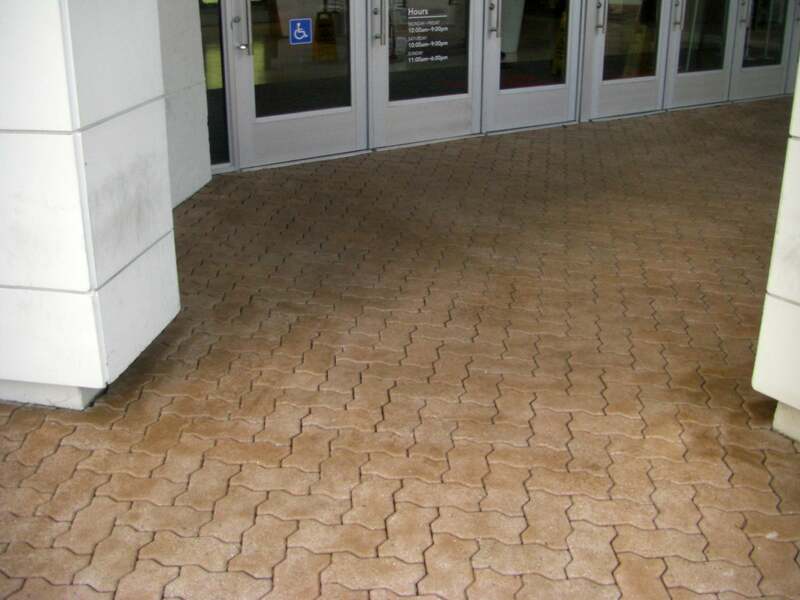 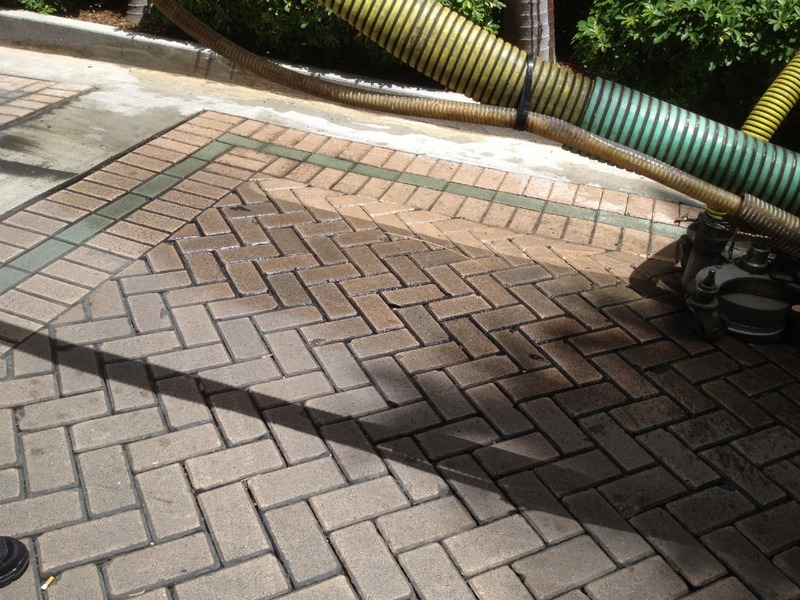 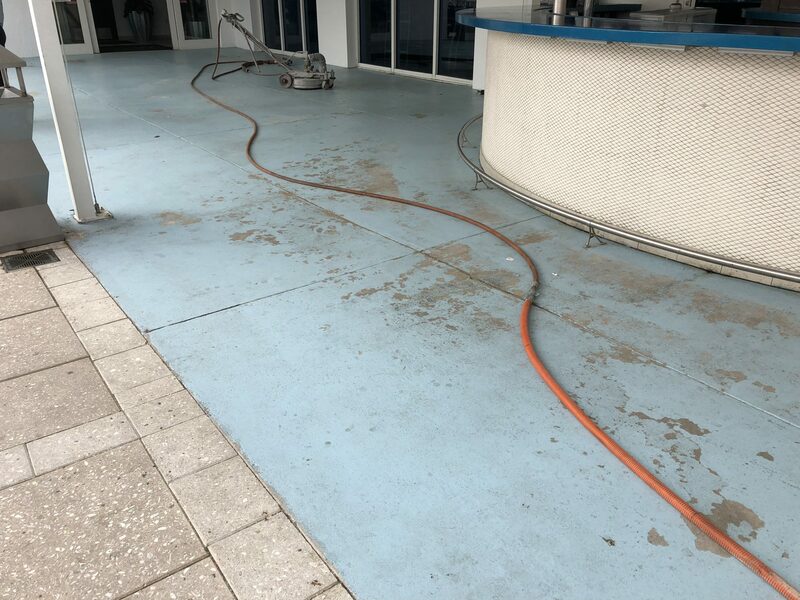 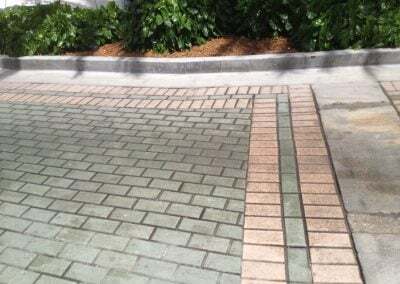 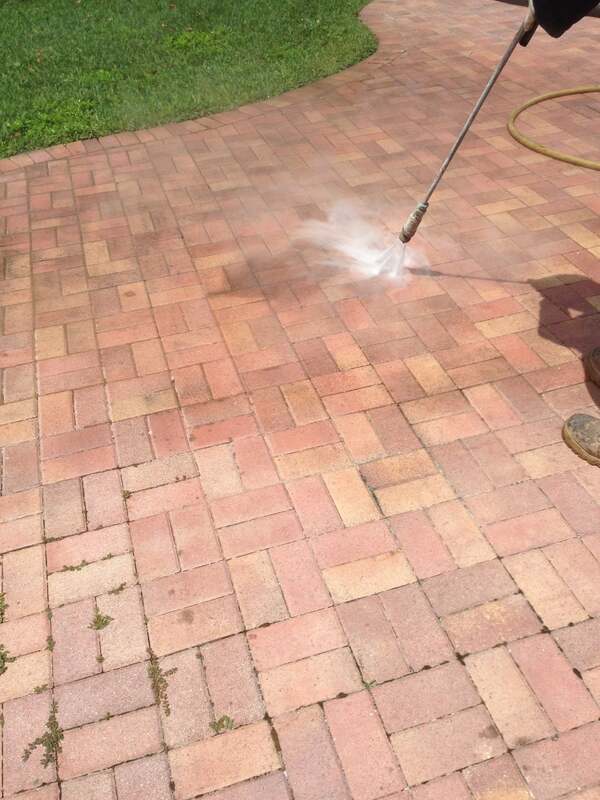 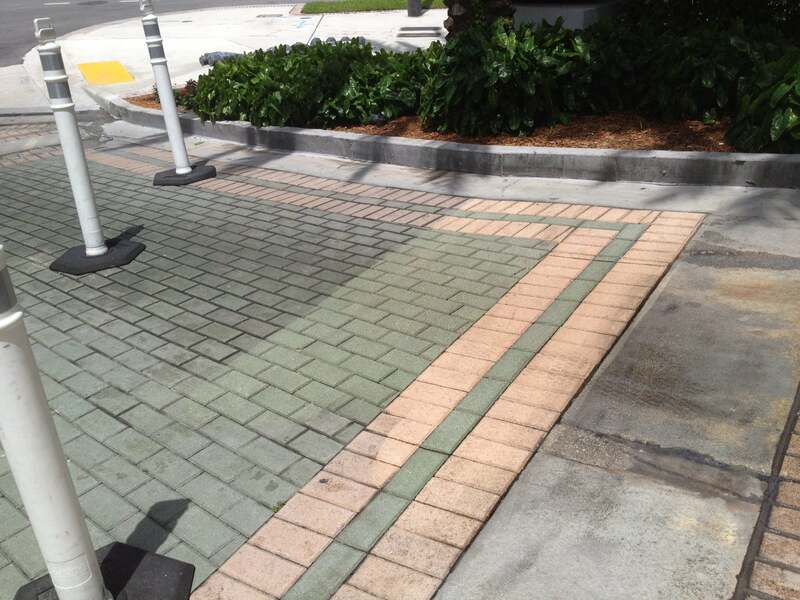 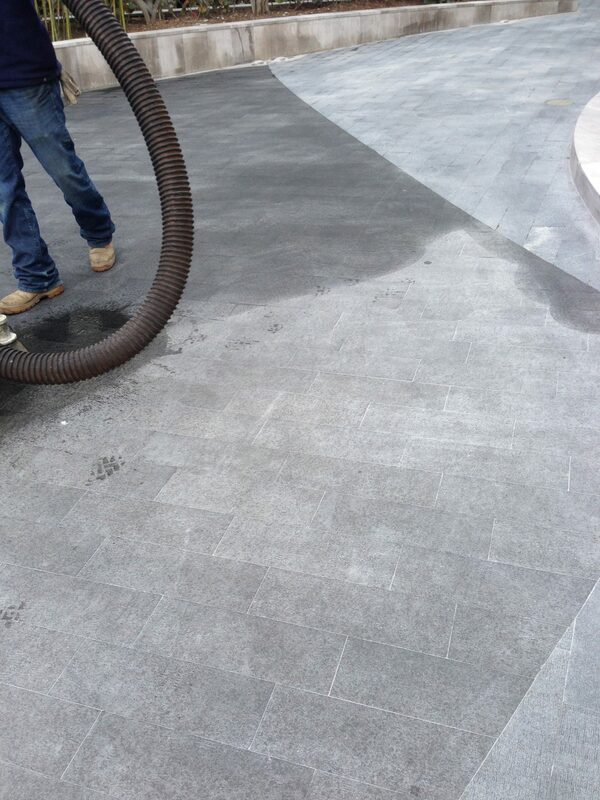 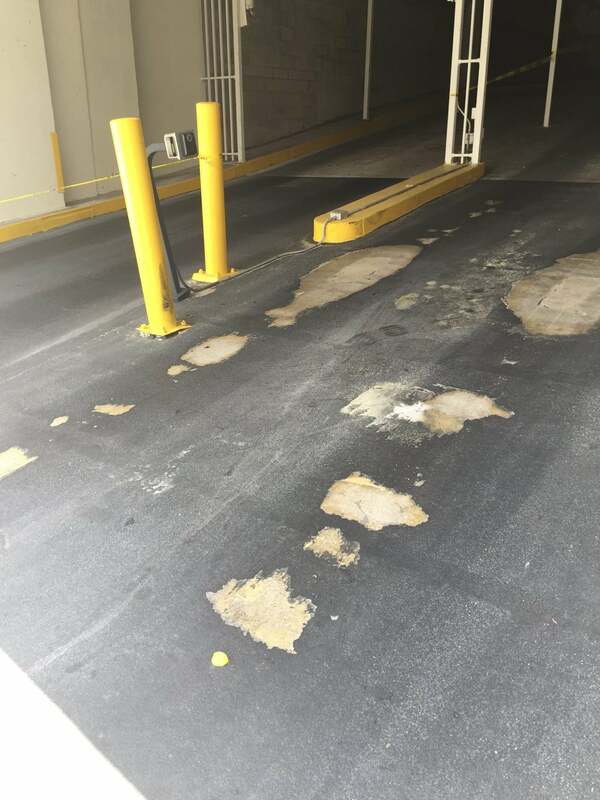 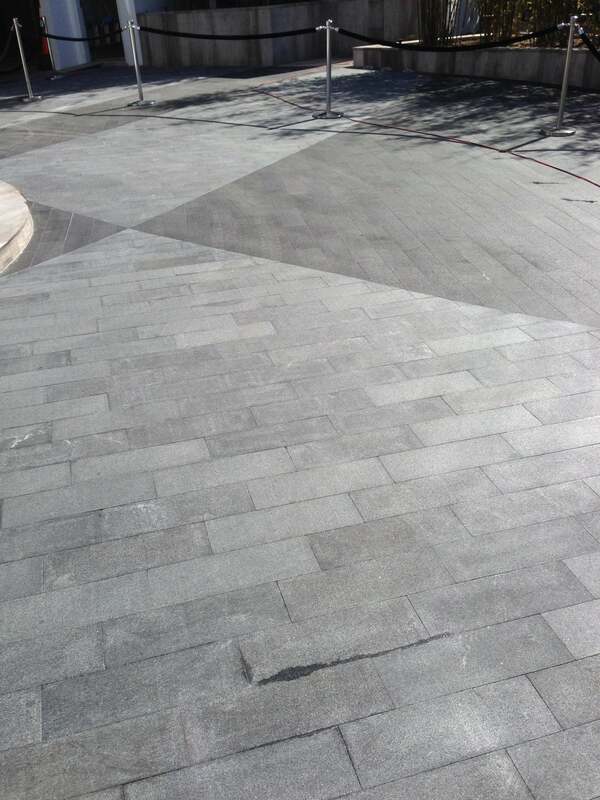 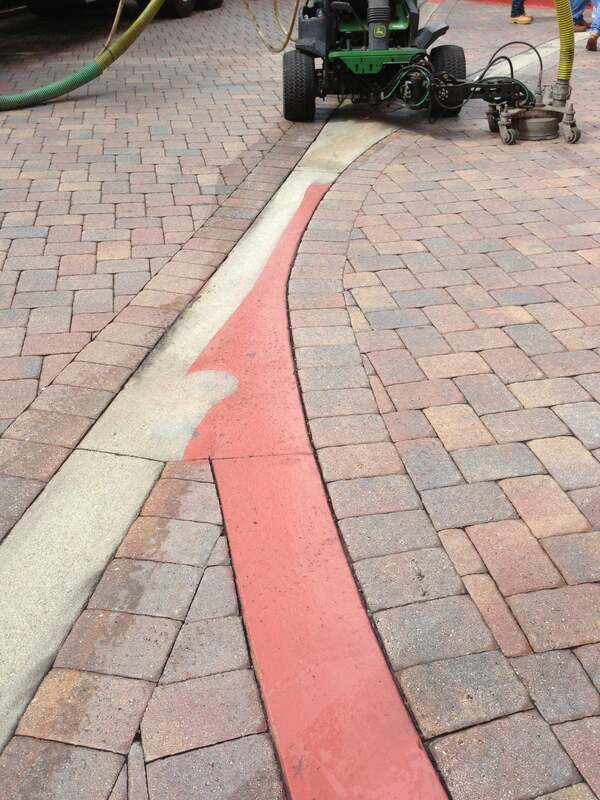 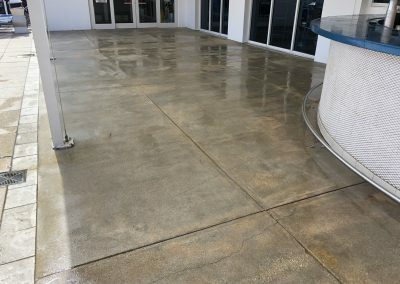 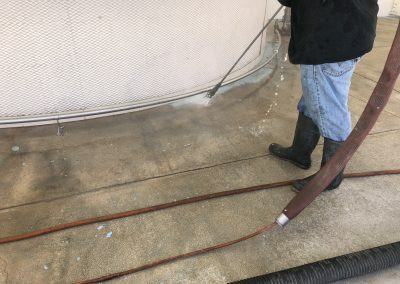 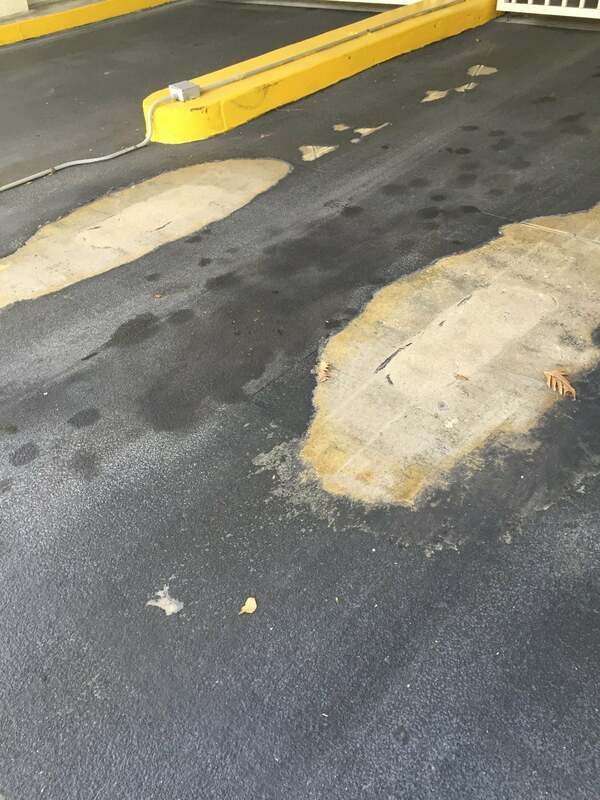 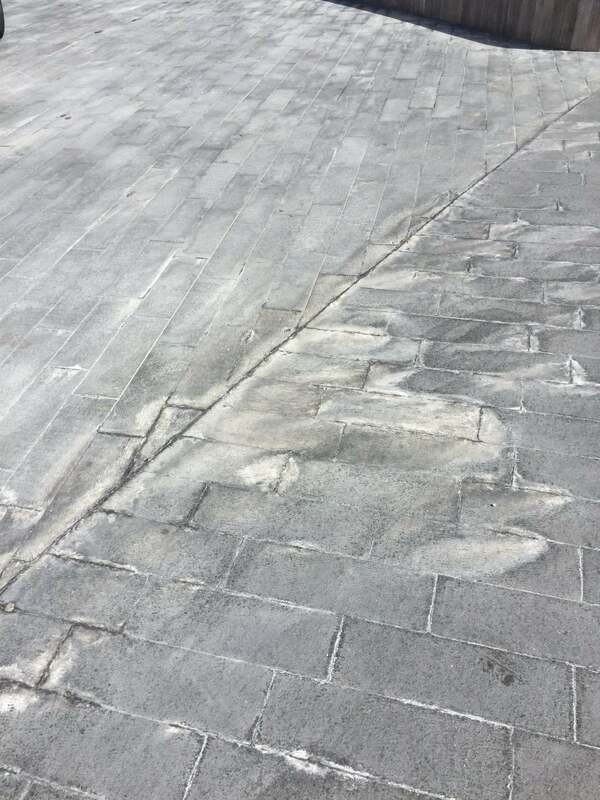 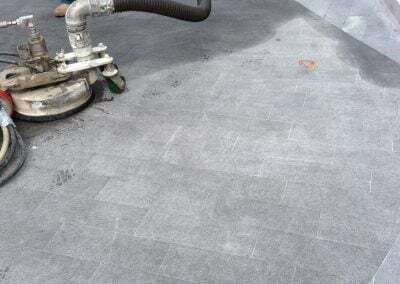 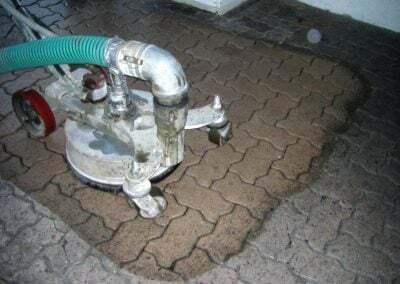 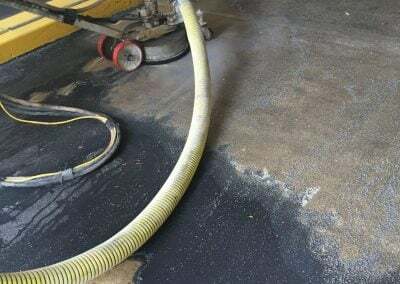 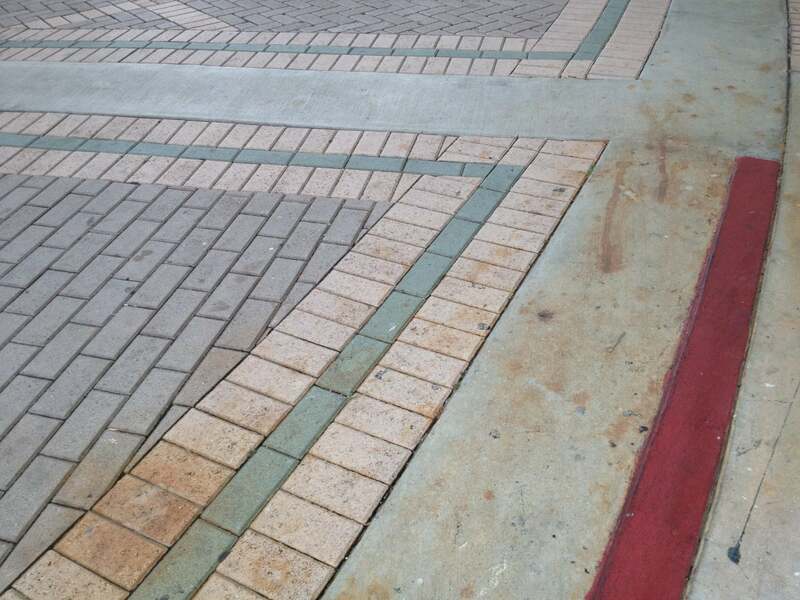 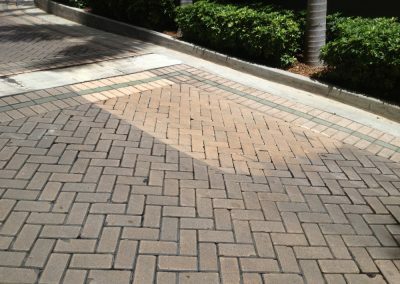 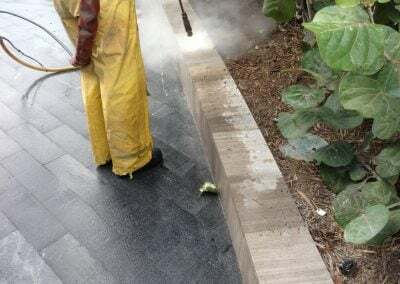 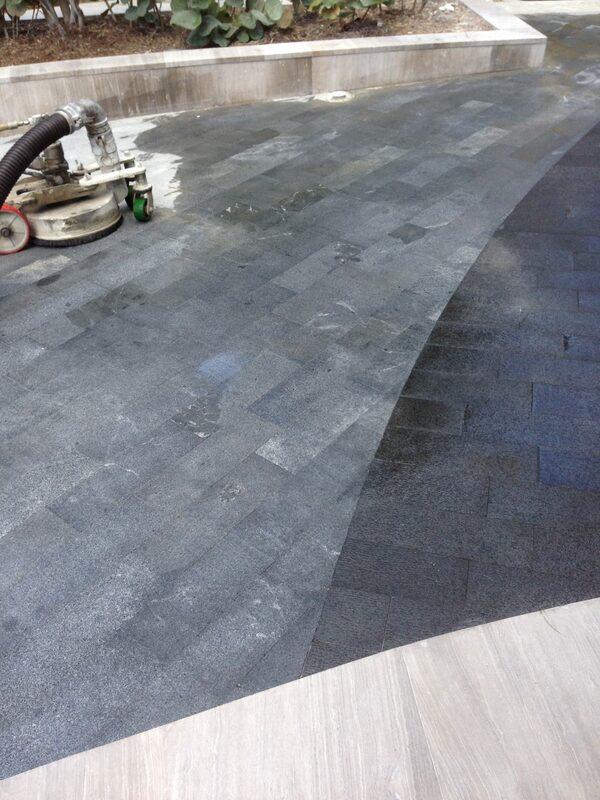 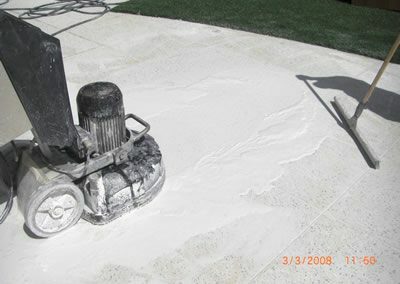 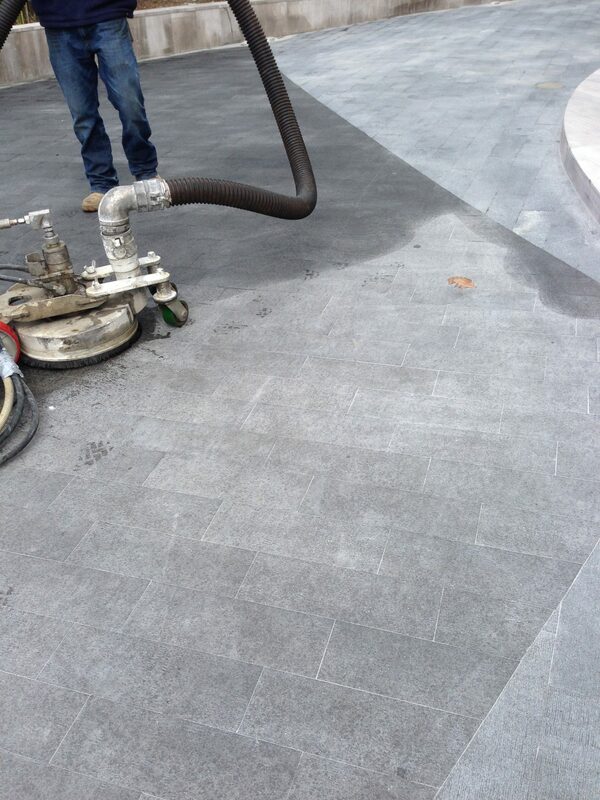 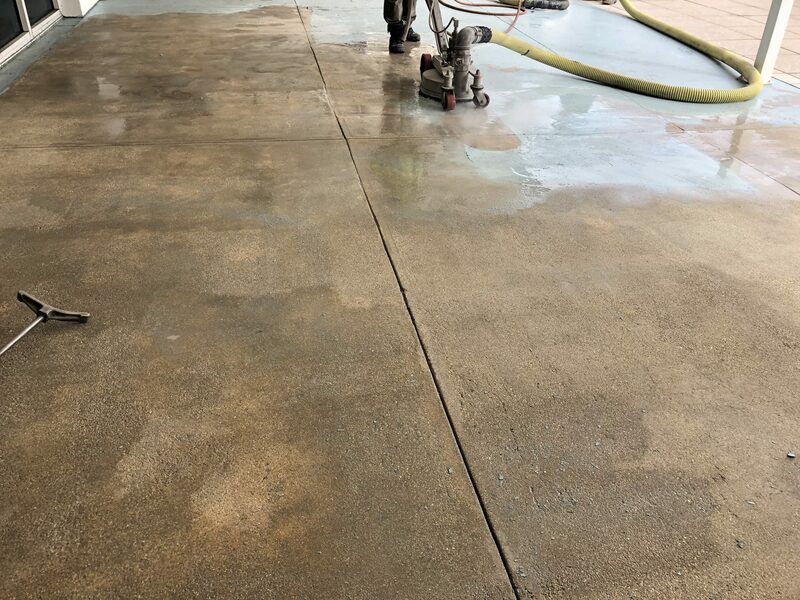 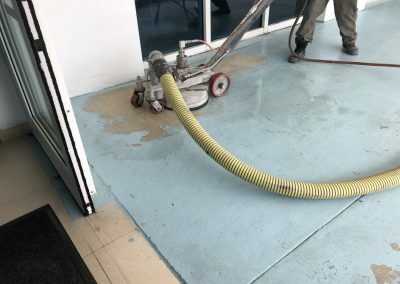 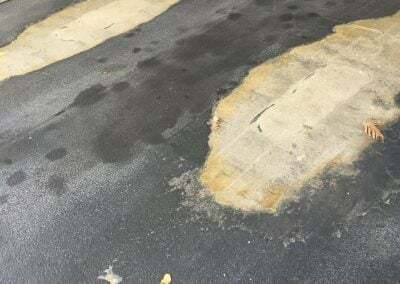 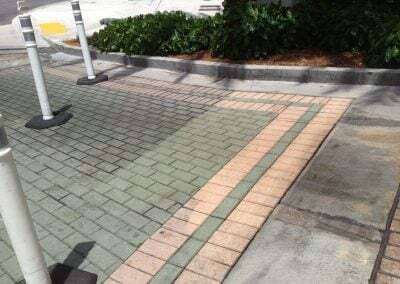 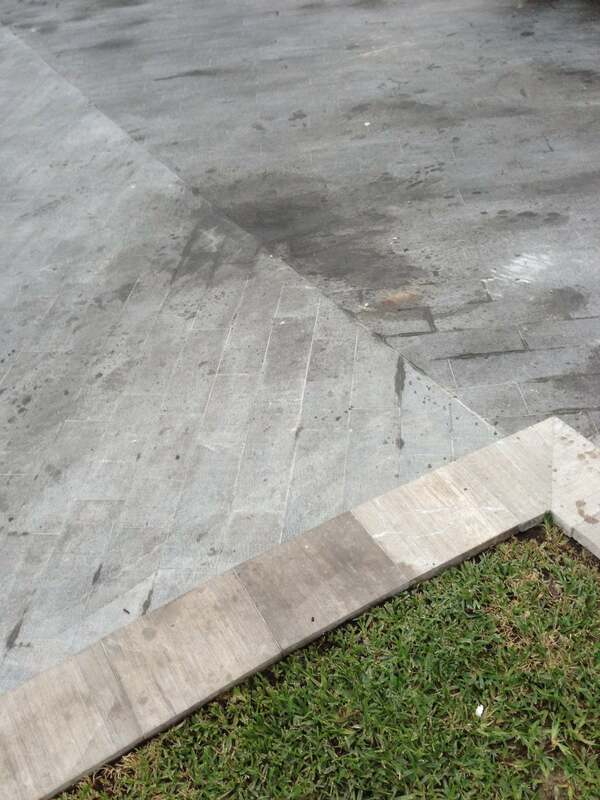 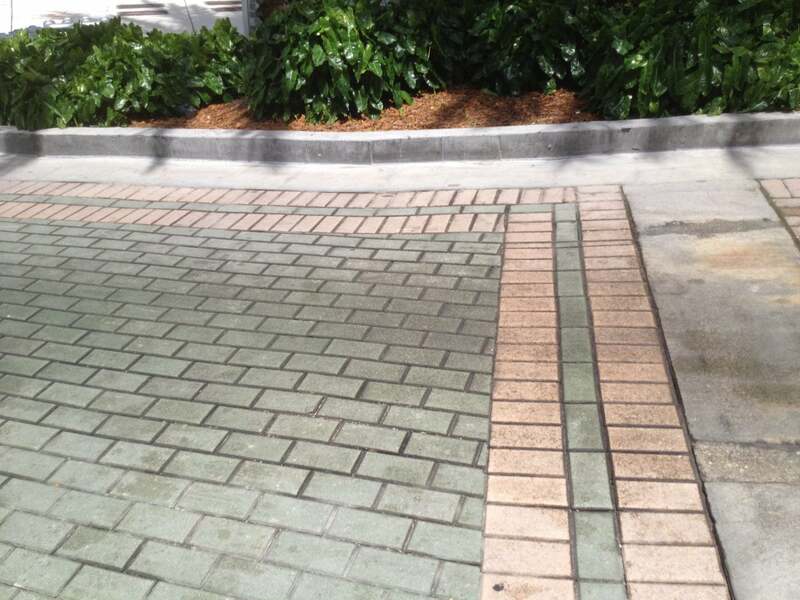 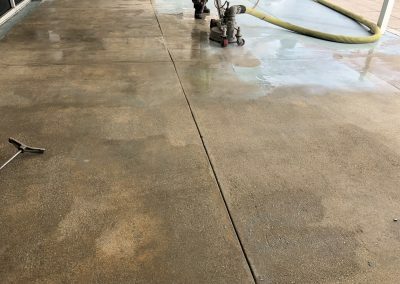 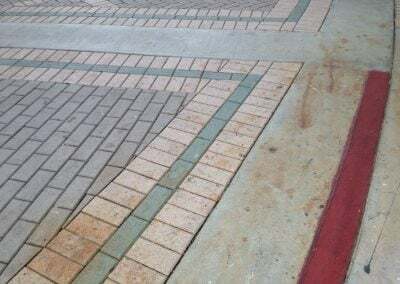 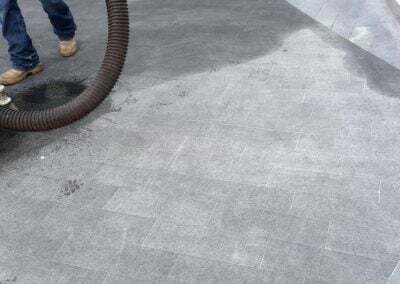 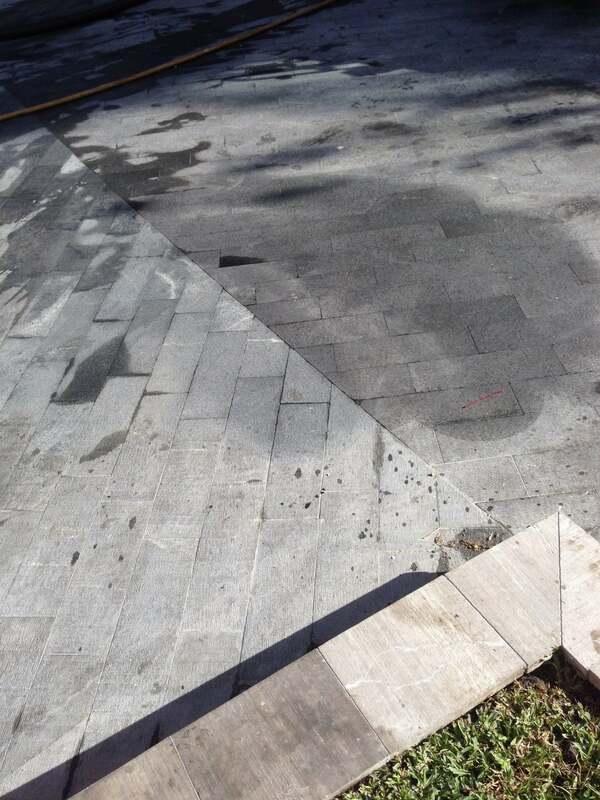 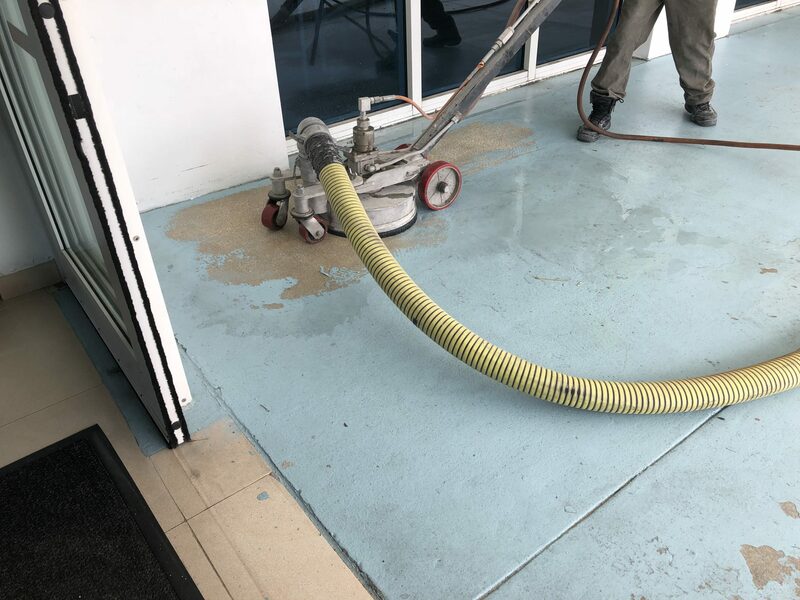 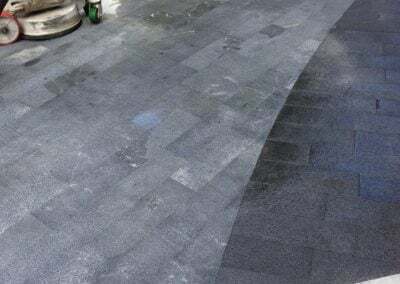 Our stripping equipment can strip existing sealer from brick pavers, strip sealers from stamped concrete, strip paint from sidewalks etc… This equipment uses a unique process of highly concentrated water pressure, up to 40,000PSI to completely remove sealers, and paints.